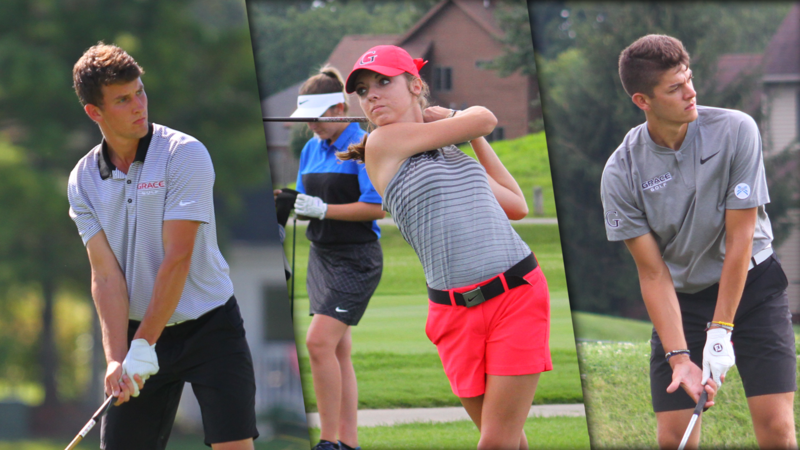 Three members of Grace College’s golf teams were named Daktronics-NAIA Scholar-Athletes. Cameron Bates and Chad Spencer were honored for Grace’s men’s team, and Lauren Keiser became the first Scholar-Athlete in the women’s program history. The two men’s Scholar-Athletes for Grace were the second-most in the Crossroads League.